Treyarch has released the first multiplayer footage for upcoming first-person shooter Call of Duty: Black Ops 2. The trailer reveals new weapons, perks, killstreaks and plenty of other new features. Dive to prone looks to be returning after Infinity Ward opted to leave it out of Modern Warfare 3, while riot shields look to be making their first appearance in a Treyarch game. There also seems to be some kind of voice recording feature at the end of the trailer. 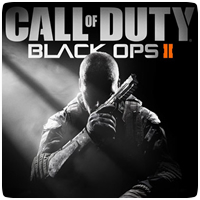 Call of Duty: Black Ops 2 launches worldwide on November 13th on the PS3 and other platforms.